In case you haven’t heard, there are some big changes happening to retiree dental and active duty and retiree vision coverage in 2019. And those changes require you to make some decisions and take some action in 2018, so don’t think, “I’ll deal with this later.” Keep reading to see if this impacts you and what you need to know. What About Tricare Eye Exams? Are These Plans A Good Deal? 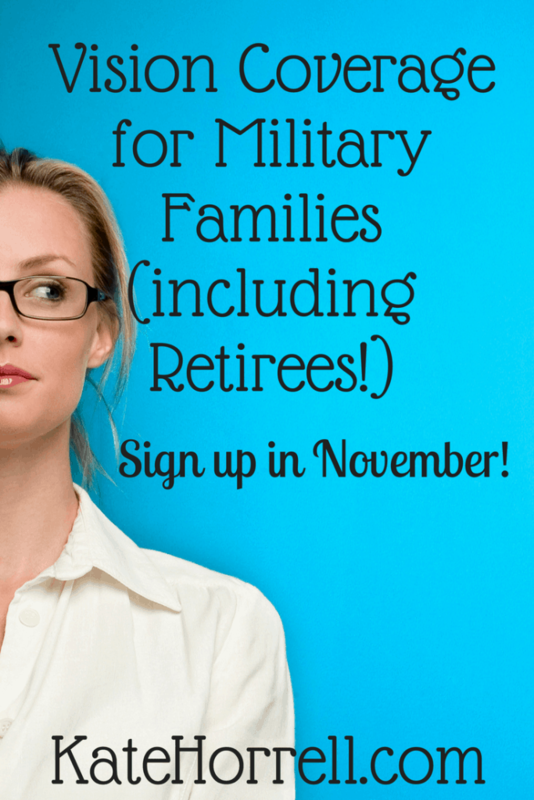 If you’re an active duty family who wants vision coverage, this affects you. If you are a retiree family who uses the Tricare Retired Dental Program (TRDP,) or a retiree family who wants vision coverage, this affects you. As of 1 January 2019, certain uniformed service members and retirees will be eligible for the Federal Employees Dental and Vision Insurance Program (FEDVIP). This program, offered by the U.S. Office of Personnel Management (OPM,) has a selection of dental and vision plans from which to choose. Retiree families will be eligible to choose vision and dental plans. The TRDP will end 31 December 2018. Active duty families will continue to use Tricare Dental but will be able to choose from FEDVIP vision coverage. Unlike the TRDP, which you could join and leave at any time, the FEDVIP has an open season each year. You can only sign up during the open season OR if you have a qualifying life event. Each year, the open season runs from the Monday of the second full work week in November until the Monday of the second full work week in December. For the 2019 plan year, the open season will run from Monday, 12 November 2018 to Monday, 10 December 2018. It’s been extended through 31 December 2018! It seems that the definition and guidelines for qualifying life events varies by plan, so be careful and read the plans carefully before making a decision. Plan costs vary depending on which plan you choose. The 2019 rates won’t be available until October 2018, but you can see the 2018 rates at the FEDVIP website. According to Tricare, the eye exam benefit under Tricare will not change. Active duty family members will continue to receive one eye exam per year, and retirees using Tricare Prime will continue to receive one eye exam every two years, unless they have medical necessity for more. Tricare’s active duty dental coverage will continue as it is now, administered by United Concordia. Active duty families are not eligible to purchase FEDVIP dental coverage at this time. But let’s be clear – I can totally see this plan going away and becoming part of the FEDVIP program, too. That may depend on what other options you have available. My friend Doug has chosen to self-insure for dental, and it is working out well for him. Others use post-military employer plans. I currently purchase a VSP vision policy through VSPDirect.com, and while it isn’t an exact comparision to the FEDVIP plan, it is significantly cheaper than the FEDVIP plan. You would definitely need to compare them side-by-side to figure out which one is better for your situation. Keep in mind that kids covered under Tricare Young Adult (TYA) aren’t eligible for FEDVIP plans, so if you have a kid on TYA, you should definitely consider that when making your decisions. “FEDVIP dental carriers will cover in-progress dental treatment for current TRDP enrollees that enroll in FEDVIP for the 2019 plan year. This means that the FEDVIP carrier you choose will cover orthodontia services and, in some cases, other covered services that start prior to December 31, 2018 but are completed in 2019, up to the FEDVIP policy limit. FEDVIP carriers will not cover in-progress treatment, if you enroll in a FEDVIP plan that has a waiting period or does not cover the service. There are several FEDVIP dental plans with options that offer orthodontia coverage without a 12-month waiting period and without an age limit. There are no other waiting periods for service; however, there may be plan specific limitations and exclusions. So, as far as I can see, they may waive the waiting period but it will be on a plan-by-plan basis. The FEDVIP Tricare transition website is pretty good. You should also sign up for email updates at this webpage. I know this hardly scratches the surface of the changes that are happening, but I wanted to get something out today and maybe even eat dinner with my family. Please put your questions in the comments section and I’ll see what I can learn for you! I’m wondering if you can advise on my situation. Active Duty until Oct. 31. I have two kids that needed braces 6 months ago but since we are moving I have not started them with treatment. In our above scenario when would it be the best time to start braces? We are medicare and tricare for life. Does this change affect our vision care? we have tri care for life and Medicare. for vision we have Delta Dental. will I have to make changes at all? Tricare for Life is not changing. 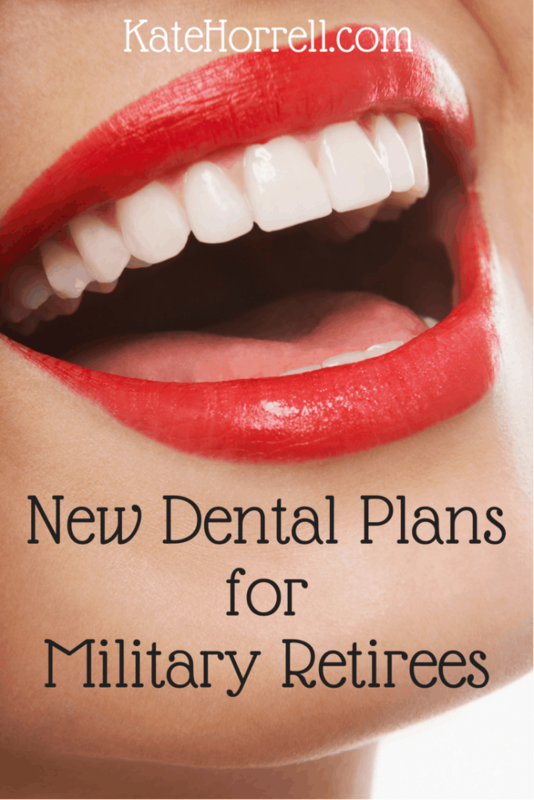 If you currently have the Tricare Retired Dental Program administered by Delta Dental, you will need to select a new plan from the FEDVIP options. You may choose to add vision coverage from the FEDVIP offerings. If your children are on Tricare, and you are happy with your plan (Prime or Select), then you do not need to do anything. There are two articles linked at the top of this article that should give you more details. I have Tri Care for Life. I have been seeing an optholmologist once a year for an evaluation and she prescribes medication to be used daily for dry eyes. Will that benefit continue under my medical or does that come under vision in which case I would need to get a vision policy.